A lot of us can relate to the love-hate relationship we have with running. It’s a fairly physically demanding sport and is ever-so-easy to make excuses to avoid. Once you’ve broken out of your good running habits, it can be hard to find your motivation again with enthusiasm and enjoyment. Check out Shape’s tips on rekindling your love for running. In other words, take small steps, especially if you just begin to run. It’s best to start slow in both pace and distance, and slowly work yourself up to it. Christy Vachal, run coach from the Mile High Run Club in New York City said to Shape that it is good to begin with the walk-run-walk method – running for two minutes, walking for one minute and repeating until you work your way up to 30 minutes. “Be realistic with your goals, but also challenge yourself to push outside of that comfort zone,” said Vachal. People often burn themselves out quickly when they kick their mileage up too drastically, which can be really deterring for runners. 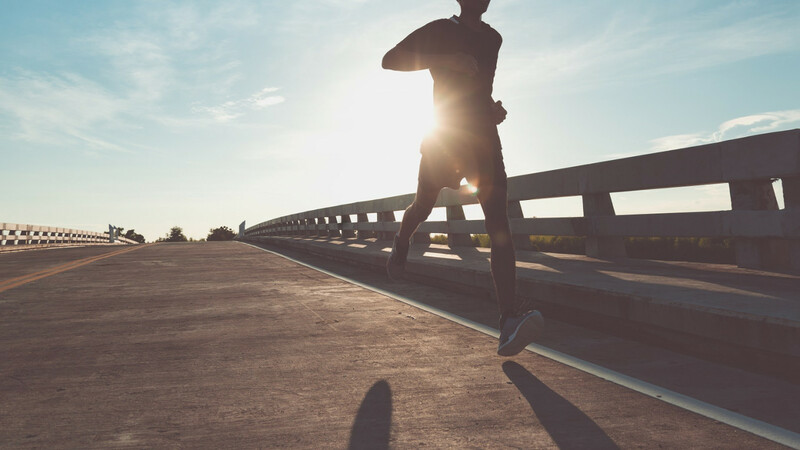 “The biggest mistake is trying to do too much, too soon – too fast a pace, too many miles, too intense,” Gordon Bakoulis, New York Road Runner editorial director and run coach, told Shape. A useful running tip is the “talk test” – you should be able to have a conversation while you’re running, and if you can’t, slow down. In doing this, you should be able to build up your speed at the right pace for your body. Keep on track by following a training plan, even if you’re not signed up for a race. “I tell my runners that training plans are used as a guideline, not an ultimatum. Push to hit each mark, but know life can get in the way, so don’t beat yourself up over missing a few runs, especially if you’re a beginner,” said Vachal. Bakoulis said that the most powerful and motivating thing you can do when you’re starting out is to surround yourself with positivity. Small achievements will eventually end up greatly rewarding. A run buddy is a great way to motivate you to run, especially on the days you are struggling to find the drive to get up. If you have something to look forward to, like a coffee or a beer with your running buddy afterward, you’ll feel better about going for a run. It’s a good way to socialize, smash goals and have someone to hold you accountable for your running mileage. It’s okay and completely normal to feel unmotivated about your running progress at times. Feeling good after a run? Write it down! Vachal keeps a journal tracking how her runs went and how she felt afterward. “Going back to those written notes and reminding yourself of that feeling can be the push you need to get out the door,” she said. It’s a good idea to jot down your goals in your diary, too. Reading through your previous positive experiences and goals can help you to chase them when you’re feeling not-so-in-the-mood. “We are all stronger than we think and just sticking to positive thoughts and pushing out negative energy can make you go that extra half-mile, and leave you feeling strong and empowered,” she said. One of the most important things you need to remember is that you will not see results overnight. Don’t feel disheartened if you are a little late at hitting your goal, or your legs aren’t as toned as you would’ve expected them to be. Podcasts are a great way to take your mind off the aches, pains and fantasies of finishing a run. Check out what’s trending, and pick up what you like to distract you from the pain. Vachal recommends true crime podcasts to keep her attention on the mystery. Just watch out for the road! Before and after shots on social media? We say: why not? Vachal suggests to take a pre-sweat pic and a (possibly sweaty but glowing) post-run selfie, and upload them to social media. Positive feedback will surely boost your confidence, but what’s more positive is you could also inspire others to slip into the running shoes and log some miles.